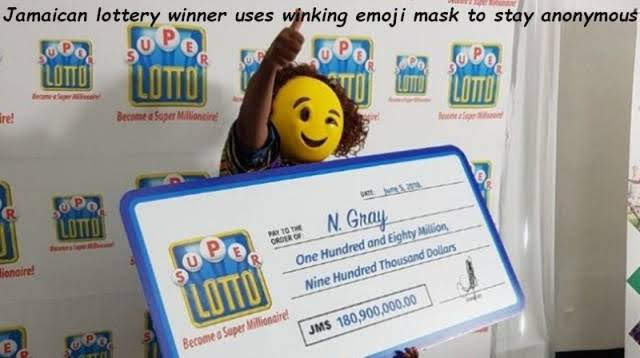 I knew you had to get your picture taken when you won big at the lotto, but I had no idea you could still protect your identity this way. This is a great idea and I hope it's available in places other than Jamaica as well. Here's a news article about it.